Surprise! Once again Panic! At The Disco are teasing something, taking to Twitter to encourage fans to tune in just before tip off of the Final Four game tonight. Panic! made sure to point out (in case you weren't already aware) that tonight's Final Four games are taking place on a Saturday night. The post also included a video containing basketball players from tonight's final four teams alongside Brendon Urie as he belts out one of his latest singles, “Say Amen (Satuday Night)”. And of course, no epic Panic! performance would be complete without the Urie backflip. Tonight's Final Four games include Loyola IL vs Michigan at 6:09PM EST and Kansas vs Villanova at 8:49PM EST. Be sure to set your alarms to catch whatever Panic! At The Disco have up their sleeves just before tip off tonight! Panic! 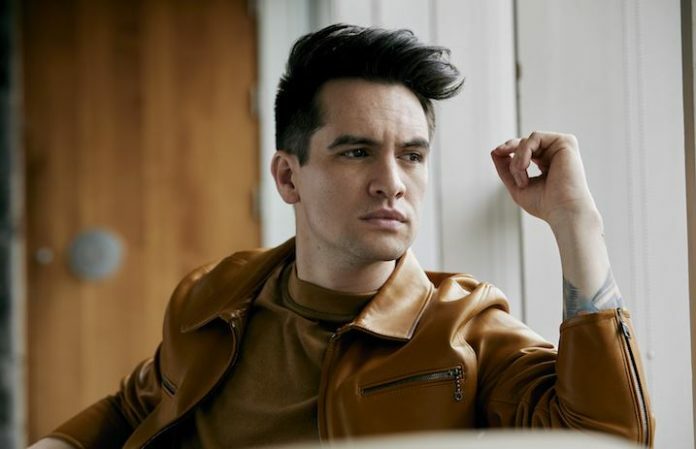 At The Disco had been keeping Sinners at the edge of their seat, and they've finally announced their new album, Pray For The Wicked, due out June 22. It's currently available for preorder here. The band will be touring in support of the record this summer, and you can check out the full list of cities and dates below!